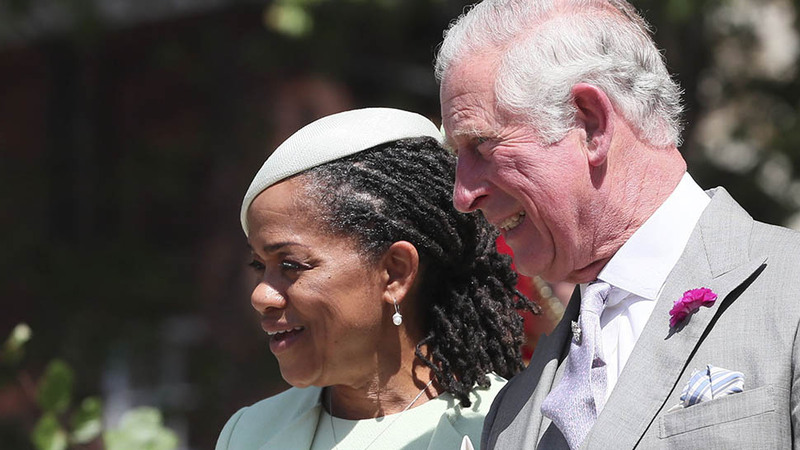 The couple honored Harry's late mother in multiple ways on their wedding day. 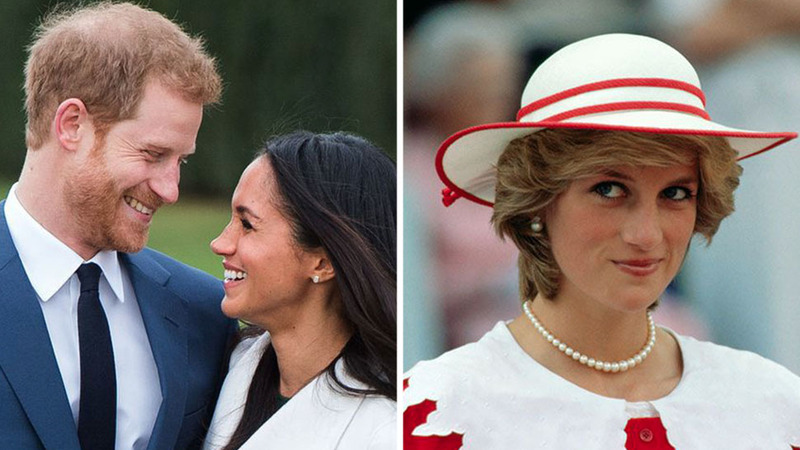 Prince Harry and Meghan Markle honored Harry's late mother, Princess Diana, in a myriad of ways on their wedding day. 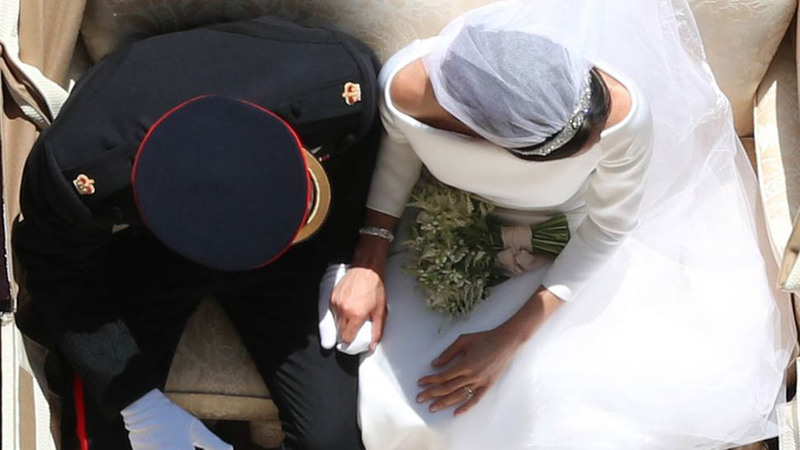 Meghan's bouquet included Diana's favorite flower, forget-me-nots, and the decor included the late Princess's other go-to bloom, white garden roses. 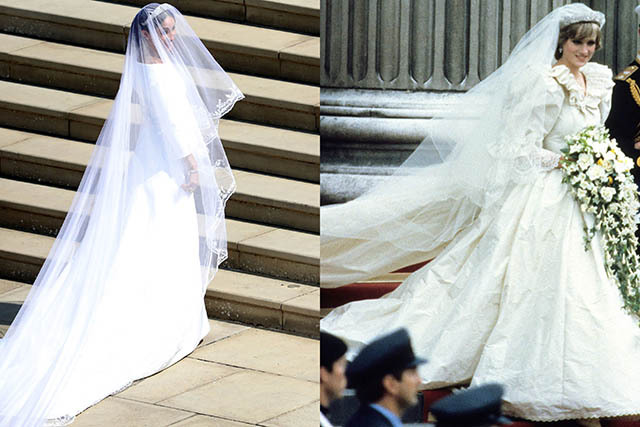 Meghan's epic veil felt like a tribute in and of itself, which seemed like a nod to Diana's iconic bridal gown and train given that we haven't seen such an epic trail on a wedding gown since Diana and Charles' royal nuptials in 1981. 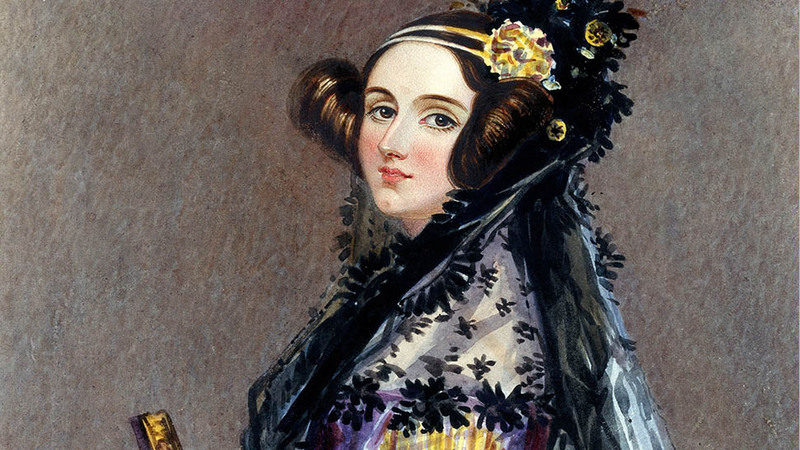 Then there was the ceremony, which included Diana's favorite hymn, “Guide Me, O Thy Great Redeemer,” which they also sang at her funeral, and a reading from her sister, Lady Jane Fellowes. 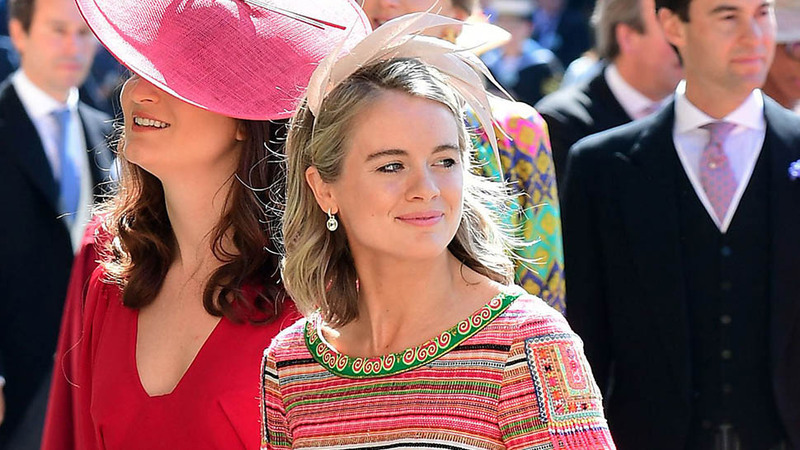 The general reception, hosted by Queen Elizabeth II featured a set from Sir Elton John, who had a close relationship with Diana; John played "Circle of Life," and singles "Your Song" and "I'm Still Standing." At Diana's funeral, he famously sang "Candle in the Wind." 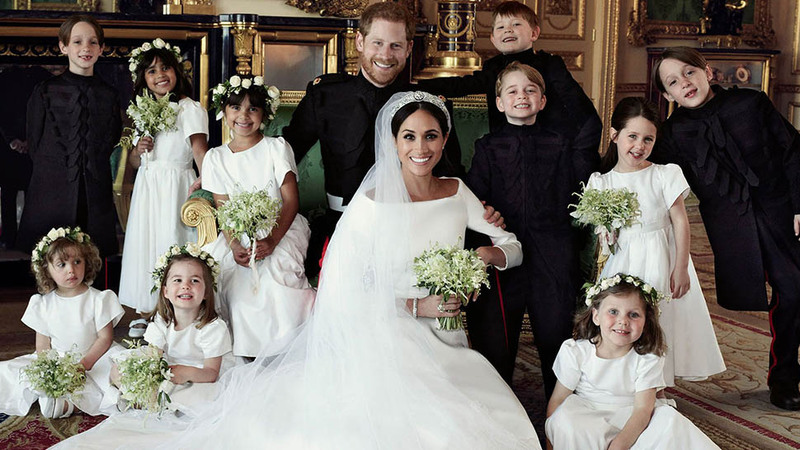 But now we're learning that the couple honored Diana in some more subtle ways; namely, the chaise Harry is seated on in the portrait the couple took with all of their bridesmaids and page boys. 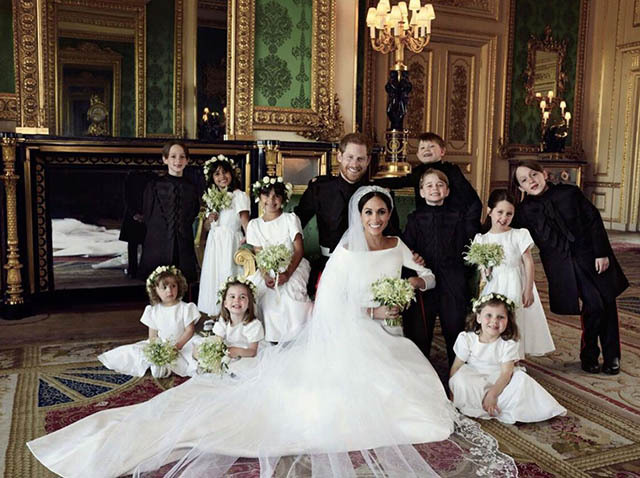 In the photo, taken by Alexi Lubormirski (who reportedly had to bribe the ten children with candy to get the shot), Meghan is seated on the ground in front of Harry, who is seated on a green velvet chaise. The bridesmaids and page boys are scattered around them, smiling and making sweet faces (just look at George's huge smile!). The Green Room at Windsor Castle has major significance to the royal groom, considering the Royal Family celebrated his christening in the same room in 1984, reports the Daily Mail. The emerald chaise, reports the Huffington Post, is the same piece Diana sat on holding Harry in the portraits taken at his christening. In the photos, Diana sits beside the Queen, while Charles sits on the arm, his hand resting on Diana's shoulder. 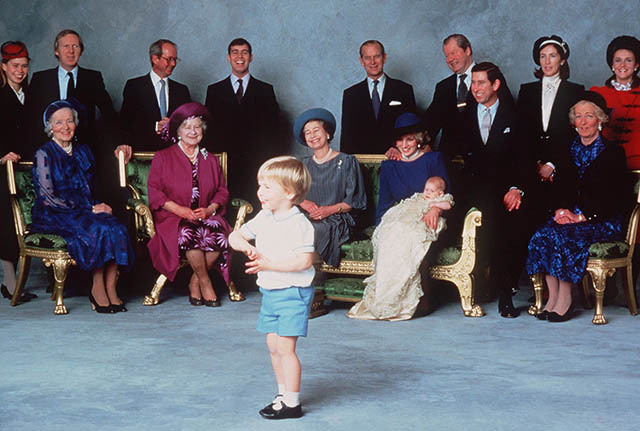 Prince William, who was a toddler at the time, is having trouble sitting still and makes his way to the foreground of the image for a laugh. The room and furniture choice, while a subtle one, was deliberate. Now, we're on the lookout; perhaps this is just one of many secret nods to Harry's mother that the couple made sure to include in their celebrations on May 19th. 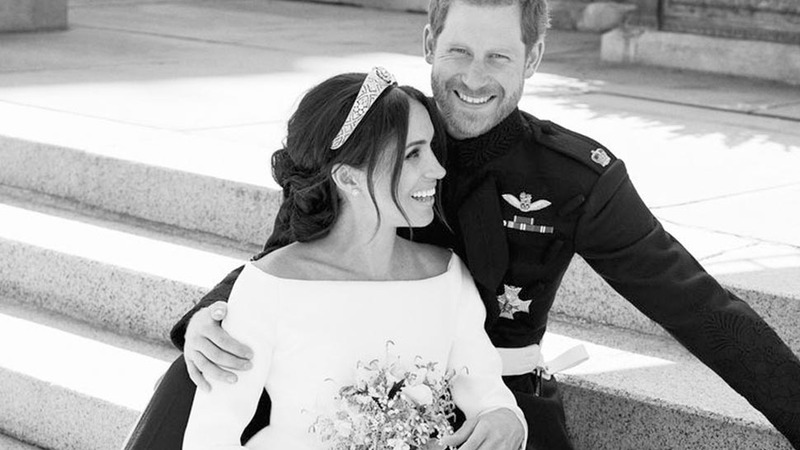 What Made Meghan Markle and Prince Harry Laugh in their Official Wedding Portrait?